Mare Stolen from stable at Burren Animal Rescue on Sunday 27-1-13 between 3.30pm & 4.15pm – A silver car was seen leaving the premises. The mare is approx 14.2h, has a white blaze down her forehead and 3 white socks (2 front legs & the right back). 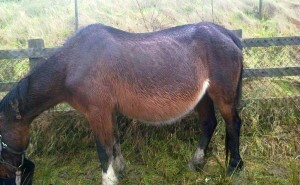 She is emaciated and heavy in foal, some rainscald present on her back & rump. 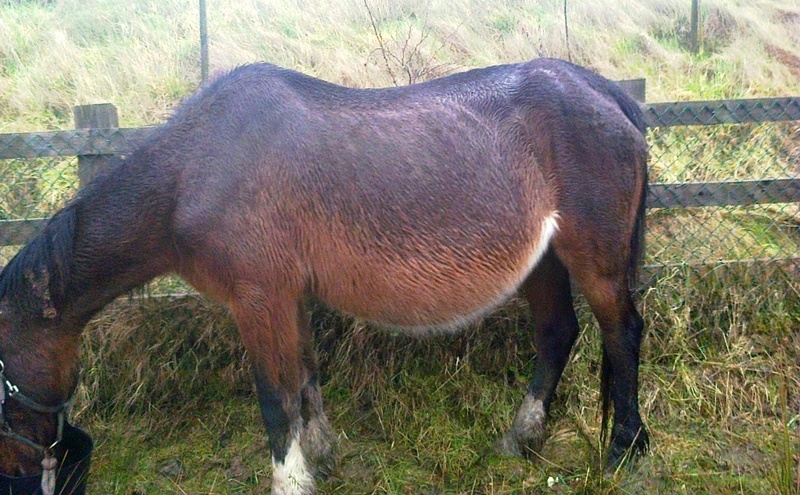 It is likely that if in a field this mare is rugged to hide her emaciated body condition. She was seized on Saturday 26-1-13 from land owned by The National Roads Authority beside the Ennis/Limerick motorway near Clarecastle, Co Clare where she was with 5 other horses. This mare needs proper care, nutrition & treatment so please if you have any information as to her whereabouts contact either Ennis Garda Station on 0656848100 or Sheena on 0871315904 or Frankie Coote, Clare ISPCA Warden on 0876225253.